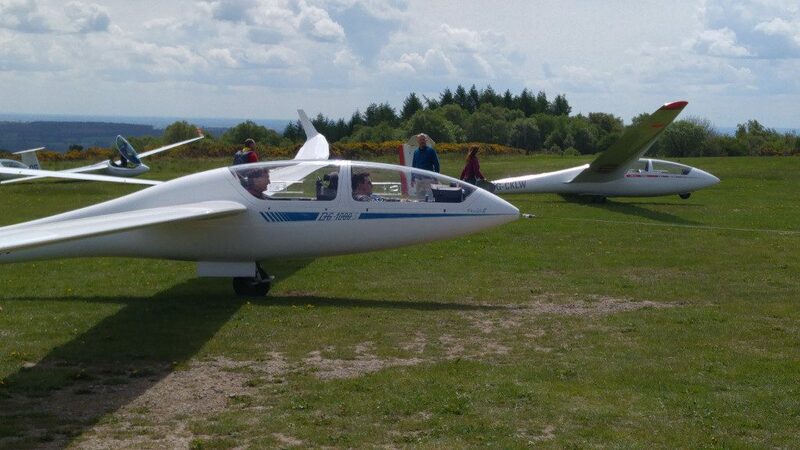 For over 20 years Stratford on Avon Gliding Club has been making the twice yearly pilgrimage to the YGC at Sutton Bank. The following gives a brief insight into what our 15 club members got up to on our latest adventure up north. With great trepidation and with many excuses made at work to leave early, the journey northbound started. 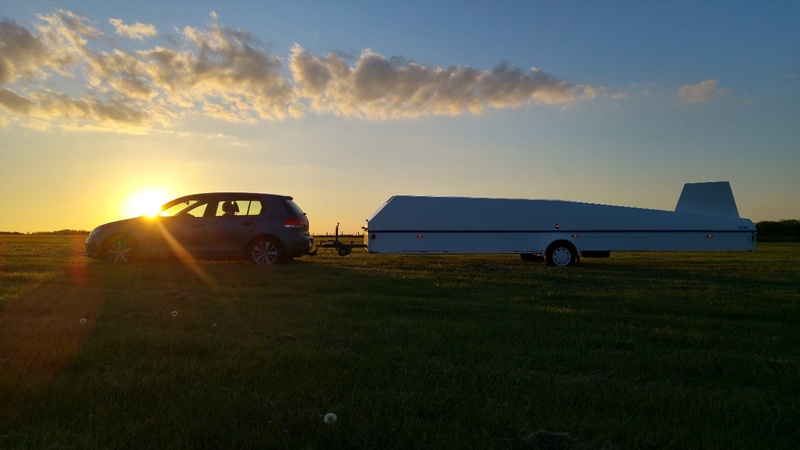 For the first time in many years a club aircraft was to be taken to SB and so Peter C joined the trailer convey with the Astir, nervously towing for the first time. 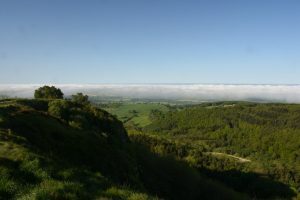 Some were brave and tackled the 25% Sutton Bank climb head on, whereas the “youngsters” in their small cars chose the scenic but less steep back-route to reach the club and more importantly the bar. 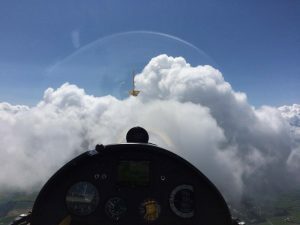 With rain and low cloud, flying was scrubbed and so the day was our own. 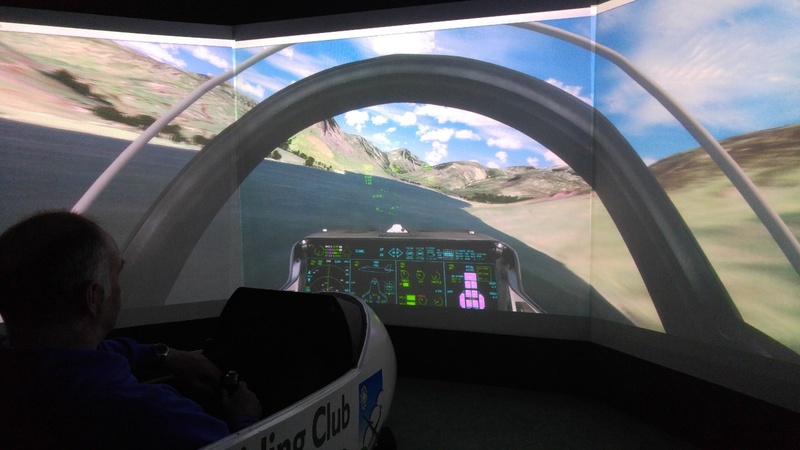 Peter C and Neil C were introduced to YGC’s fantastic simulator. After some virtual aerotow practise and site familiarisation we soon progressed rapidly from flying the K21, to mid-air refuelling a Tornado and finally to low level formation flying through the Lake District in F-35’s! We all reconvened for the traditional meal out at the Forrester’s Arms in Kilburn and this was followed up with more drink and games back at the Club house. 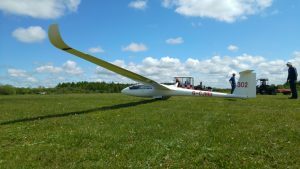 The weather seemed to be on our side and so the SoAGC pundits rigged their machines and those requiring check flights/instruction patiently awaited their turn to get airborne. Conditions in the end weren’t that great and so only Barry K and Barry M in the Duo Discus T went cross country whilst the other pundits explored the local scenery. 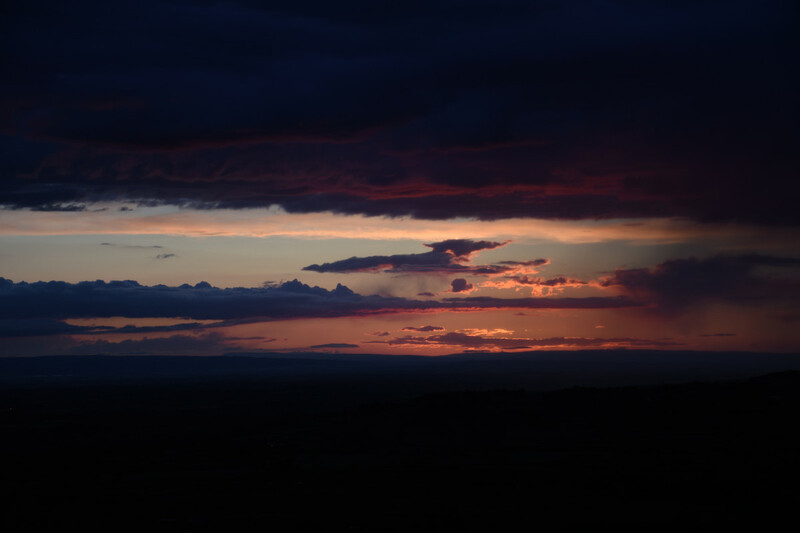 Whilst the privateers awaited for optimum conditions to develop, the club’s Astir was rigged and prepared for its first Sutton Bank adventure. Phil C was first into the seat and we all eagerly watched to see what he could achieve. 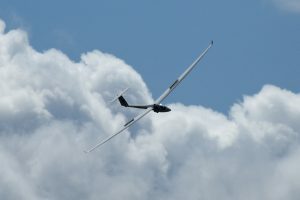 Well, at about 500ft we all saw him come off the tow and with no chance of returning to the airfield he was last seen heading north towards what we hoped a nice grass field. Confirmation from Dan aloft in his Lak that Phil was down safe, 4 of us hitched up the trailer and set out to find him and the Astir. It wasn’t a nice green pasture as we hoped, but a newly planted potato field. 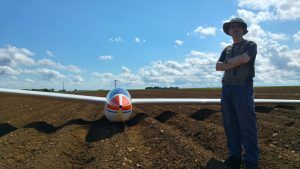 (All credit for Phil landing in one of the furrows and for completing his first field landing) It took a couple of hours to de-rig and to carry the wings and fuselage out of the field to the trailer. Many of the Stratford pundits enjoyed watching us hard at work from their gliders high above! Flying wise, not a lot to report. Those optimum conditions never really materialised so most of Stratford pilots stayed close to the airfield. Half way through the de-rigging process! After confirmation that the Astir’s early departure from the tug was not due to a mechanical problem and was probably because of an inadvertently early release, Peter C jumped in for his first air tow solo. The thermals didn’t materialise as hoped and he was down in 12mins. 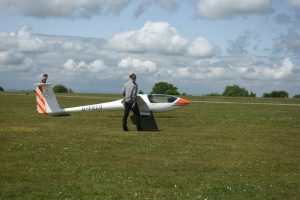 With deteriorating conditions Phil C managed to complete a full tow to 2000ft but soon returned after 9mins. At least Kit B managed to scratch out 24mins in the Astir before he too returned to terra firma. Barry K and Barry M in the Duo tasked 300km but were forced to use the engine a couple of times to get back. 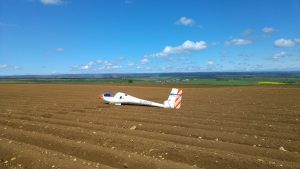 All other pilots reported poor conditions and stayed within gliding range of SB. With low cloud and rain forecast flying was cancelled for the day and so many of the party hit the roads south and headed home. 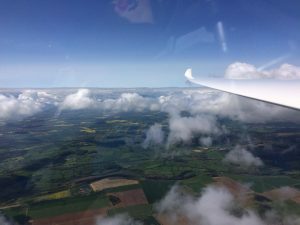 No further flying to conclude the club expedition. 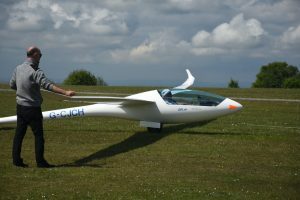 A big thank you to the Yorkshire Gliding Club for being great hosts. We look forward to returning again in September and hopefully for better weather. 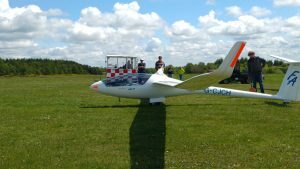 This entry was posted in Flying reports and tagged expedition, flying report, sutton bank by Peter C. Bookmark the permalink.